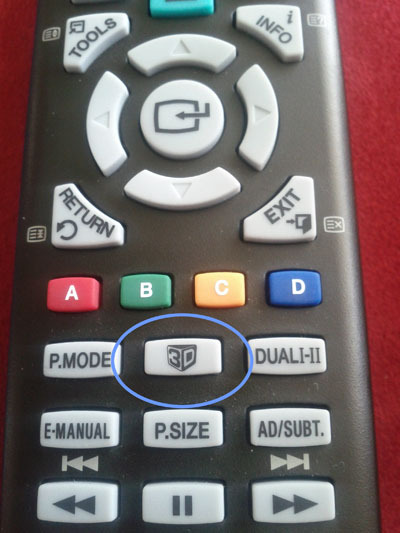 When in movie mode, the Fuji Film Real 3D W3 makes 3D AVIs, and the question is how to display them on my Samsung 3D TV. Connect the Fuji camera to the TV using a micro-HDMI to HDMI lead. You can get them on Ebay for less than about $10. Then play the movie. The thing with this method is that not everyone wants to keep all their movies on the camera / SD card. 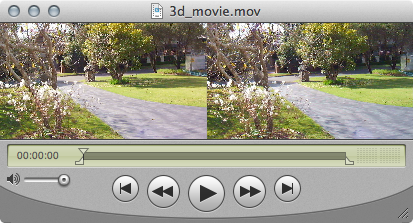 If you want to play movies from USB or other storage eg DVD, you need to convert the 3D AVI into something more useful. 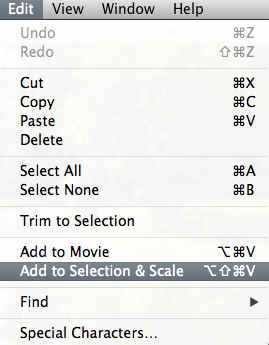 Select all (apple-a) of the Right movie and copy. Then with the Left movie selected, you should get an option "Add to Selection & Scale". What this does is create two new tracks in the one movie file ie we've layered the Right hand movie onto the left hand movie. 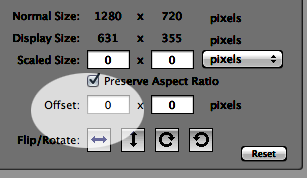 and set the 'offset' to be width of the movie, with a W3D that'll be 1280 pixels. This creates a side by side movie. 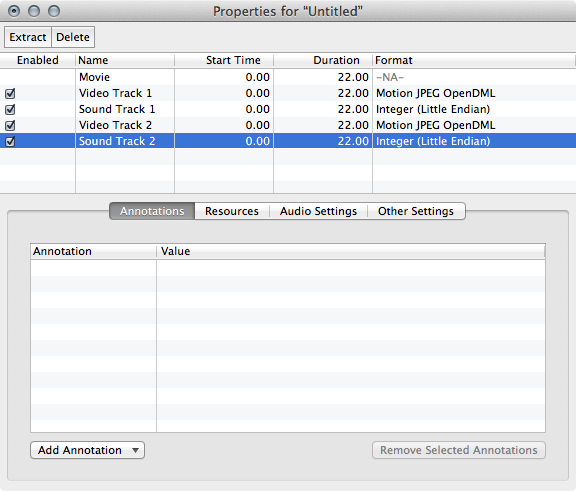 You can then export as .mp4 or H264. Bonus points for deleting the extra sound track first. I found the best / easiest / cheapest ( as in free) is to use StereoMovie maker from stereo.jpn.org/eng/stvmkr/, and create a side-by-side, or SBS video. You'll need the MJPEG codec, the lightest weight one I found is www.free-codecs.com/motion_jpeg_codec_download.htm. When creating the SBS video you are asked what encoding to use. On my seldom used WinXP box I didn't have any other codecs, so I just used the same MJPEG. 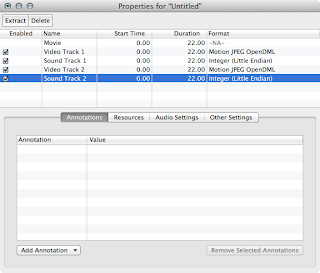 Then use say QuickTIme Pro eg on my Mac and re-code as H264. You can then place the encoded file onto a USB stick and play that.